Will It Live Up to its Hype? 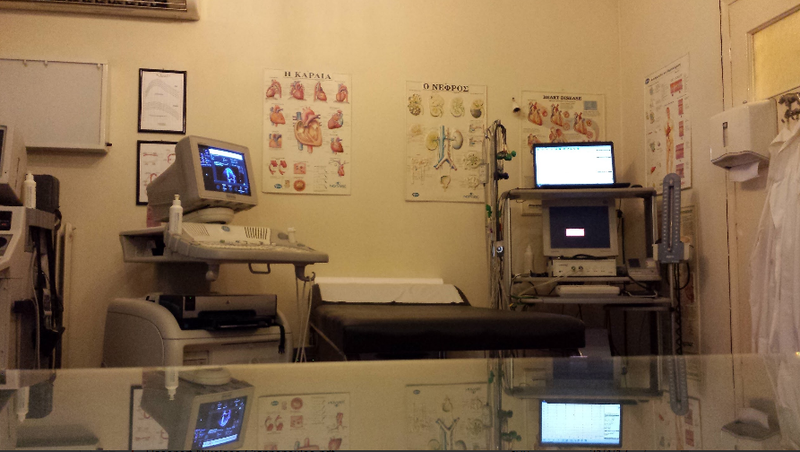 Posted: 10/18/2011; J Am Coll Cardiol. 2011;58(15):1547-1556. © 2011 Elsevier Science, Inc. Substantial evidence suggests that a large portion of the population have suboptimal levels of vitamin D, which may adversely affect the cardiovascular (CV) system, including increasing levels of parathyroid hormone, activating the renin-angiotensin-aldosterone system, and increasing insulin resistance, thus leading to hypertension and left ventricular hypertrophy, metabolic syndrome/diabetes mellitus, systemic inflammation, and increased risk of atherosclerosis and CV disease events. We review the evidence that vitamin D deficiency is associated with incident CV disease events, as well as evidence that vitamin D supplementation is associated with reduction in CV diseases. Although the current evidence has created substantial hype, randomized controlled trials are needed to determine whether routine vitamin D assessment and supplementation will improve CV outcomes. This state-of-the-art review, therefore, focuses on the relationship between vitamin D and CV and metabolic risk factors and CV disease events, as well as on the potential role of vitamin D repletion to reduce these events and prevent the development and progression of CV diseases. Both vitamin D3 obtained from exposure to the sun and from dietary sources are hydroxylated in the liver to 25-hydroxy vitamin D (25[OH]D), which is then converted to the active form of vitamin D, 1,25-dihydroxy vitamin D (1,25[OH]2D) by 1-alpha-hydroxylase in the kidney. [1,2,4] Although vitamin D has been classified as a vitamin for decades, clearly the 1,25(OH)2D functions as a hormone, since it is produced predominantly by 1 organ (the kidneys, although both vascular smooth muscle and endothelial cells may also be able to convert 25[OH]D to 1,25[OH]2D) and then exerts wide-range effects on numerous organs, including the CV system. Although 1,25(OH)2D is considered to be the active form of vitamin D, its levels in the serum do not correlate with overall vitamin D status, whereas level of 25(OH)D is the marker that is more clinically relevant. The circulating hormone 1,25(OH)2D crosses the cell membrane and cytoplasm and reaches the nucleus of the cell, binding to vitamin D receptors, which in turn binds to retinoic acid receptors and serves as a nuclear transcription factor, inducing protein synthesis and altering genetic function. Vitamin D directly or indirectly regulates numerous genes, including those involved in renin production in the kidney, insulin production by beta cells in the pancreas, and growth and proliferation of vascular smooth muscle cells and cardiac muscle cells, as well as functions of lymphocytes and macrophages, many of which may be involved in the pathogenesis and progression of CV diseases. Vitamin D deficiency is a common problem in the United States and worldwide. [1,2] Optimal levels of 25(OH)D are not firmly established, but a level >75 nmol/l (30 ng/ml) has been suggested to be a threshold below which condition such as falls, fractures, and even colorectal cancers are increased. Potential cutpoints for defining vitamin D status are listed in Table 1, including the IOM's definitions of risk of deficiency, risk of inadequacy, adequacy, and risk of concern (including the fact that there may be a "U-shaped" relationship where very high levels may be detrimental, including increasing certain cancers, especially pancreatic cancer, fractures and falls, as well as CV risk and all-cause mortality, which is discussed in the following text). Data from the Third National Health and Nutrition Survey (NHANES III) indicate that approximately 5% of persons in the United States have levels <25 nmol/l (10 ng/ml) and close to 60% have levels <62.5 nmol/l (25 ng/ml). *Some data suggest increased falls, fractures, certain cancers, and even cardiovascular risk at values >50 ng/ml. †Definitions adapted from Looker et al. (3). The prevalence of vitamin D deficiency increases with greater distance from the equator because of increased atmospheric filtering of the UVB radiation. Additionally, ethnic groups with darker skin (e.g., African Americans) require considerably more sun exposure to synthesize adequate amounts of vitamin D compared with lighter skin persons. Considering the concerns about various skin cancers over recent decades, the use of sunscreen and sun-avoiding strategies has also led to dramatic reductions in vitamin D cutaneous production. That, coupled with increasingly sedentary, indoor lifestyles has further added to a higher prevalence of vitamin D deficiency. Obesity has also increased at epidemic proportions in the United States and most Westernized cultures, and may lead to reduced vitamin D bioavailability because of vitamin D being sequestered in the excess adipose tissue. The exact explanation for the lower levels of vitamin D in obesity, however, is not clearly established, as vitamin D levels have been inversely related with visceral fat but less so with subcutaneous fat. Clearly, however, obese persons appear to have a poorer response to supplementation or UVB light compared to lean persons. The elderly also have reduced capacity for UVB-induced vitamin D synthesis in the skin, and are particularly susceptible to vitamin D deficiency. [1,2,16,17] Common causes of vitamin D deficiency, including recently identified genetic factors, are listed in Table 2. There is increasing evidence that vitamin D plays a role in determining risk for various cardiometabolic outcomes, particularly metabolic syndrome (MetS) and type 2 diabetes mellitus (T2DM), and systemic hypertension. [1,2,19] Epidemiological studies also suggest that the rate of hypertension, T2DM, and coronary heart disease (CHD) increase in proportion to increasing distance from the equator, suggesting a potential link to the vitamin D mechanism. The renin-angiotensin-aldosterone system (RAAS) clearly plays a major role in the pathogenesis of CV diseases. [1,2,10,20] Vitamin D exerts a role in regulating the RAAS, and vitamin D deficiency predisposes to up-regulation of the RAAS and hypertrophy of both smooth muscle cells and the left ventricle (and left ventricular hypertrophy is a known risk factor or marker of CV disease risk). [10,21,22] In humans, 1,25(OH)2D inhibits the RAAS and may lower blood pressure; in fact, 1 tanning study demonstrated that UVB radiation from tanning 3 times a week for 3 months led to a nearly 200% increase in 25(OH)D levels and a 6 mm Hg decrease in both systolic and diastolic blood pressure. Vitamin D also impacts endothelial cell function, regulating endothelial cell-dependent vasodilation. [24–26] A small study of patients with T2DM and low baseline 25(OH)D levels demonstrated that a single dose of 100,000 IU vitamin D2 reduced systolic blood pressure by 14 mm Hg and improved endothelial function as assessed by forearm blood flow. In the NHANES III study, the average systolic blood pressure was nearly 3 mm Hg lower in subjects with the highest quartile of 25(OH)D compared to subjects in the lowest quartile. However, in a recent meta-analysis of 3 cohorts, lower 25(OH)D was associated with an 80% greater risk of incident hypertension, whereas in a meta-analysis of 10 trials, supplementation with vitamin D only nonsignificantly reduced systolic blood pressure by 2 mm Hg and did not reduce diastolic blood pressure. Vitamin D also affects mechanisms related with MetS and T2DM pathophysiology, including impaired B-cell function and insulin resistance, potentially by directly activating vitamin D receptors or by indirect effects by a calcium homeostasis regulation. [19,28] A study of >10,000 Finnish children who were given 2,000 IU vitamin D3 per day during the first year of life demonstrated a 78% reduced risk of type 1 diabetes over a 30-year follow-up. Subsequently, this finding was confirmed by a meta-analysis of 5 observational studies in England. One study reported that a daily intake of >800 IU of vitamin D compared with <400 IU of vitamin D reduced the risk of T2DM by nearly one-third. In a 6-month study of 81 South Asian women with insulin resistance, 1,000 IU daily of vitamin D reduced insulin resistance and improved insulin sensitivity, reducing fasting insulin levels without changing insulin secretion. However, in a recent major review by Pittas et al. of 13 observational studies (14 cohorts) and 18 trials, 3 of 6 analyzed from 4 different cohorts, reported a lower incident T2DM in the highest versus the lowest vitamin D status group, and 8 trials found no effect of vitamin D supplementation on glycemia or incident T2DM. Although the reasons for these inconsistencies in both the hypertension and T2DM trials are uncertain, potential explanations include baseline 25(OH)D levels, various vitamin D doses, achieved 25(OH)D levels, and various study designs (including primary, secondary, and tertiary prevention trials). Chronic vitamin D deficiency causes secondary hyperparathyroidism, which may mediate severe detrimental CV effects. 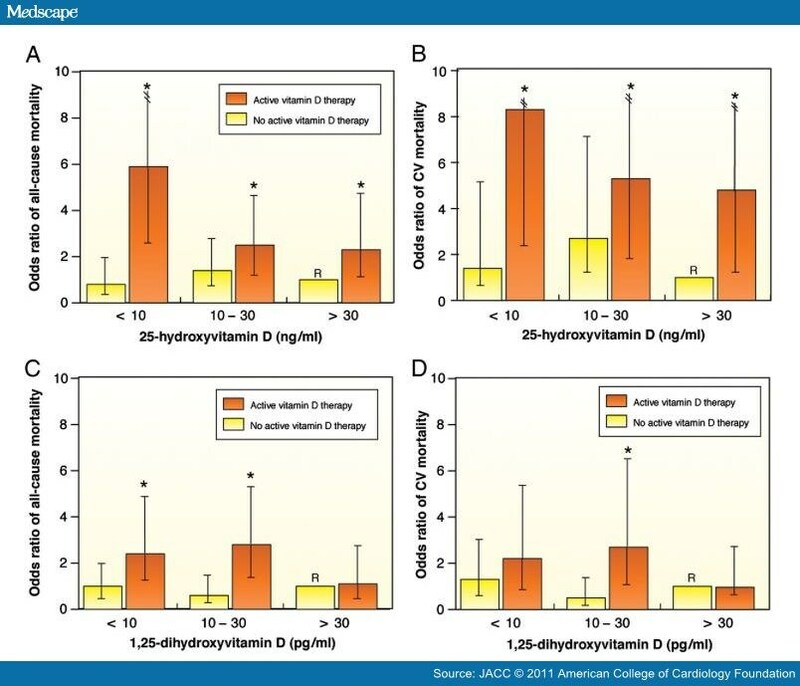 Vitamin D deficiency reduces intestinal calcium absorption by >50%, and the reduction in serum calcium triggers release of parathyroid hormone (PTH), which corrects serum calcium by promoting mobilization of calcium from bone, increasing reabsorption of calcium from renal tubules, and stimulating increased production of 1,25(OH)2D from the kidney. [1,4] The threshold for elevation of PTH is a 25(OH)D level <30 ng/ml, with particular increases in PTH levels at 25(OH)D levels <16 ng/ml. It appears that both primary and secondary hyperparathyroidism is associated with increased risk of CV diseases. Elevated levels of PTH are associated with increases in arterial pressure and myocardial contractility, which can lead to apoptosis, fibrosis, and vascular smooth muscle cell hypertrophy as well as left ventricular hypertrophy. [10,33] Vitamin D deficiency and increased PTH also predisposes to mitral annular calcification, valvular sclerosis/calcification, and even calcification of the myocardium. [1,34] Chronic kidney disease (CKD) is certainly associated with increased CV risk. The link between CKD and hyperparathyroidism is demonstrated in a study of patients with advanced CKD, in which patients with PTH levels ≥250 pg/ml had doubling of CV risk compared to patients with PTH <250 pg/ml. Elevated levels of PTH in the elderly have also been associated with a nearly 2-fold increase in mortality. Substantial evidence indicates that atherosclerosis is an inflammatory disease and that inflammation plays a role in major CV disease events, and efforts to reduce inflammation may be warranted. [37–39] Low 25(OH)D and increases in PTH levels increase the risk of inflammation, as documented by elevated levels of C-reactive protein and interleukin-10. Administration of 1,25(OH)2D in the setting of vitamin D deficiency has been shown to down-regulate inflammatory biomarkers such as C-reactive protein. Depression is one of the leading causes of disability in the United States, and is a known CV risk factor that is also related with recovery after major CV disease events. [41–43] Recently, vitamin D has been implicated as a factor affecting cognitive function and mental health. [44,45] In fact, vitamin D concentrations have been found to be low in patients with mood disorders, including depression. [46,47] In data from the NHANES III study, in nearly 8,000 noninstitutionalized U.S. residents, the likelihood of having depression was significantly higher among those with vitamin D deficiency. Likewise, among a CV disease population of >7,000 patients ≥50 years of age with no history of depression, low vitamin D levels were shown to be a associated with incident depression. It is known that vitamin D receptors are present in the brain, and enzymes are present in the central nervous system that are involved in vitamin D hydroxylation. [48,49] Additionally, elevated levels of PTH due to vitamin D deficiency may also play a role in the development of depression. [50,51] However, at present, the potential link between vitamin D status, depression, and CV diseases seems to be intriguing but speculative at best. There are several mechanisms by which vitamin D may be associated with atherosclerosis and CV disease events (Fig. 1),[1,2] and numerous recent studies have found high rates of CV diseases among patients with lower levels of vitamin D. In 1,739 Framingham Offspring Study participants who were free of CV disease at baseline, the rate of major CV disease events was 53% to 80% higher among those with low vitamin D levels, with the increased risk magnified among those with hypertension (Fig. 2). However, this study suggested a slightly increased risk at higher 25(OH)D levels. In an analysis of 13,331 adults from the NHANES III study followed up for a median of 8.7 years, mortality was inversely associated with vitamin D levels, with the lowest quartile of 25(OH)D (<17.8 ng/ml) having a 26% increased mortality compared with the highest quartile (Fig. 3). 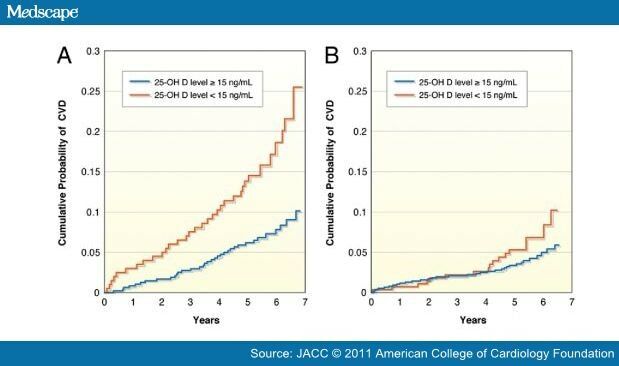 The NHANES III study also suggested a U-shaped relationship for 25(OH)D, with a slight increased mortality noted at high (>50 ng/ml) levels. In a prospective study of 3,258 consecutive patients scheduled for coronary angiography, low 25(OH)D and 1,25(OH)2D levels were independently associated with all-cause and CV mortality (Fig. 4). CV = cardiovascular; DM = diabetes mellitus; HTN = hypertension; LVH = left ventricular hypertrophy; MetS = metabolic syndrome; RAAS = renin-angiotensin-aldosterone system. Kaplan-Meier curves showing the crude cumulative probability of first cardiovascular events in participants (A) with hypertension and (B) without hypertension. The group with a 25-hydroxyvitamin D (25[OH]D) level ≥15 ng/ml is represented by blue lines, whereas the group with a 25(OH)D level <15 ng/ml is represented by red lines. CVD = cardiovascular disease. Reproduced with permission from Wang et al.. Restricted cubic spline showing the fully adjusted associations between serum 25-hydroxyvitamin D (25[OH]D) levels and all-cause mortality in 13,331 participants of the Third National Health and Nutrition Examination Survey. CI = confidence interval. Reproduced with permission from Melamed et al. (53). 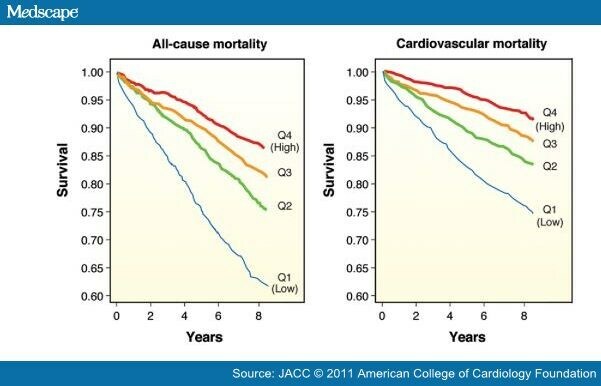 Kaplan-Meier plots of (A) all-cause and (B) cardiovascular (CV) mortality in the 25-hydroxyvitamin D quartiles (Q): Q1 (blue lines), Q2 (green lines), Q3 (orange lines), and Q4 (red lines). Log-rank test indicated a significant difference across all 25-hydroxyvitamin D quartiles (p < 0.001). This analysis was performed on 3,258 consecutive coronary angiographic patients. Reproduced with permission from Dobnig et al. (54). In an analysis of >27,000 patients from the Intermountain Healthcare System, the prevalence of vitamin D deficiency (≤30 ng/ml) was >60%; and vitamin D deficiency was associated with highly significant (p < 0.0001) increases in the prevalence of T2DM, hypertension, and dyslipidemia. Moreover, vitamin D deficiency was highly associated with CHD, myocardial infarction, heart failure, and stroke, as well as total mortality (Fig. 5). In a 10-year follow-up of 18,225 men in the Health Professionals Follow-up Study, low levels of 25(OH)D were associated with higher risk of myocardial infarction, even after controlling for other CHD risk factors. A recently published multicenter study evaluating patients admitted with acute coronary syndromes found that 96% of these patients had abnormal 25(OH)D levels <30 ng/ml. 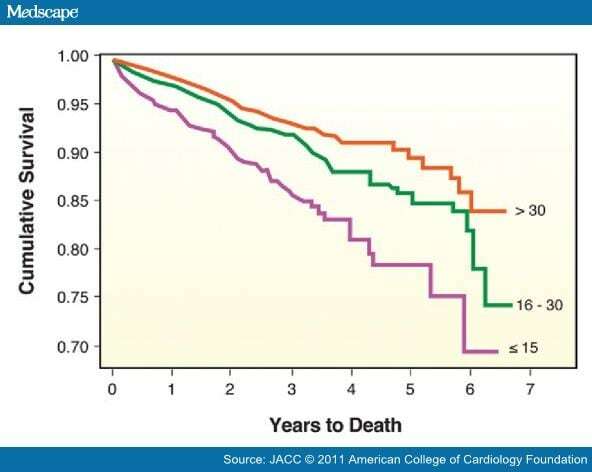 Kaplan-Meier survival curves according to baseline vitamin D level: >30 ng/ml (orange line), 16 to 30 ng/ml (green line), and ≤15 ng/ml (purple line). Survival differed significantly by initial vitamin D level (log-rank p <0.0001). Reproduced with permission from Anderson et al. (55). Although there are now many studies suggesting higher CV risk associated with low vitamin D levels, the data for routine vitamin D supplementation are more sparse. Autier and Gandini analyzed 18 independent randomized controlled trials of >57,000 participants (with >4,700 deaths during a mean follow-up of 5.7 years). Although there was considerably variability in these trials, as well as the dose of vitamin D administration (from 300 IU to 2,000 IU daily), the summary relative risk for all-cause mortality was reduced by 7% with vitamin D therapy (Fig. 6). Another meta-analysis of 8 randomized trials showed a slight, but statistically nonsignificant, 10% reduction in CV disease risk with vitamin D supplementation at moderate to high doses (approximately 1,000 IU daily). 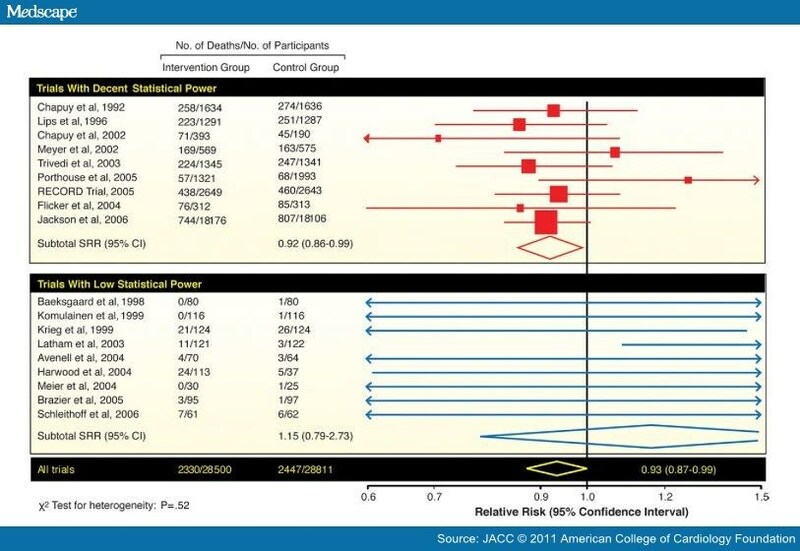 Meta-analysis of data on all-cause mortality in 18 randomized controlled trials with vitamin D. CI = confidence interval; SRR = summary relative risk. Adapted with permission from Autier et al. (58). Patients with advanced CKD are known to have markedly increased CV disease risk and have more vitamin D deficiency. [60,61] Patients with CKD are at high risk of 25(OH)D deficiency, and unlike non-CKD patients who are able to more tightly regulate 1,25(OH)2D within the normal range, CKD patients also have profound reductions in 1,25(OH)2D. In a study of 825 consecutive U.S. hemodialysis patients, 78% were found to have vitamin D deficiency and 18% were considered to be severely deficient. In another cohort of 175 consecutive hemodialysis patients who died within 90 days and 750 patients who survived, low vitamin D levels were associated with increased mortality; compared to patients with the highest 25(OH)D or 1,25(OH)2D levels who received vitamin D therapy, untreated deficient patients were at significantly increased risk for early mortality (Fig. 7). Multivariate-adjusted odds ratios (ORs) of 90-day all-cause and cardiovascular (CV) mortality for hemodialysis patients according to vitamin D levels and whether patients received treatment with active vitamin D (orange bars) or no active vitamin D (yellow bars). (A) 25-hydroxyvitamin D (25[OH]D) and all-cause mortality; (B) 25(OH)D and CV mortality; (C) 1,25-dihydroxyvitamin D (1,25[OH2]D) and all-cause mortality; and (D) 1,25-dihydroxyvitamin D and CV mortality. The reference groups (R) were subjects who were treated with active vitamin D and had 25(OH)D levels ≥30 ng/ml or 1,25(OH2)D levels ≥13 pg/ml. For 25(OH)D analyses, n = 984; and for 1,25(OH2)D analyses, n = 719. *p < 0.05 for the comparison of the individual vitamin D level and vitamin D treatment groups with the corresponding referent groups. Reproduced with permission from Wolf et al. (61). In a large study of >51,000 end-stage CKD patients who survived for at least 90 days after initiation of hemodialysis, 2-year survival was assessed. Analyzing 13,864 who died and 37,173 who survived, 2-year mortality was more than doubled among those who did not receive injectable vitamin D therapy compared to those who did. In multivariate analysis, injectable vitamin D therapy was associated with an independent 20% reduction in overall mortality. Other observational studies of patients with CKD and hyperparathyroidism found that oral administration of 1,25(OH)2D3 (also known as activated vitamin D or calcitriol) is associated with improved survival. Thus far, vitamin D analogs given to hemodialysis patients have been shown to improve survival, including in a recent meta-analysis of 5 prospective studies. Typically, nearly 95% of the body's requirements for vitamin D is derived from cutaneous synthesis from sun exposure, with the remainder ingested from dietary sources. In November 2010, IOM provided an update to recommended intakes of calcium and vitamin D. Regarding vitamin D intake, the committee assumed minimal sun exposure, and it determined that North Americans need on average 400 IU of vitamin D daily; people 71 years old and older may require as much as 800 IU per day. Studies indicate, however, that the average U.S. adult consumes only approximately 230 IU of vitamin D daily. The IOM committee found that the evidence supported a role of vitamin D for bone health, but did not believe that the current level of evidence was sufficient for other health conditions, including for the prevention and treatment of CV diseases. Vitamin D and CV Disease: Is the Hype Merited? The substantial data discussed in the preceding text suggest a very high prevalence of vitamin D deficiency, and numerous studies suggest that low levels of vitamin D are associated with more CV disease events, which seem to be reduced by vitamin D supplementation. Nevertheless, there continues to be considerable debate regarding the value of routine vitamin D screening and supplementation for CV disease prevention. Also, optimal levels of vitamin D have not been adequately established. During recent decades, other nutrients have been associated with CV diseases, including vitamins E and C, beta carotene, and folic acid to reduce levels of homocysteine. Although all of these presented with considerable promise, none has stood the test of time or the rigors of randomized controlled trials. Conversely, omega-3 fatty acids have also been associated with CV disease protection, and that has been substantiated by randomized controlled trials, especially of CHD and heart failure. [75,76] Regarding vitamin D, the question remains whether the hype regarding this vitamin/hormone will stand the test of time and pass the rigors of randomized controlled trials. Will vitamin D be another vitamin E, C, or folic acid, or will the results be more similar to those with omega-3 fatty acids (or better)? Although we agree with the recent editorial that the current evidence "falls short" of providing definitive recommendations and even a very recent meta-analysis of 51 studies found that the effects of vitamin D were nonsignificant on the endpoints of death, myocardial infarction, and stroke, we remain confident that the benefits of vitamin D will likely outweigh the risks. A major double-blind randomized placebo-controlled trial (VITAL [VITamin D and OmegA-3 TriaL]) sponsored by the National Institutes of Health and run by Harvard Medical School and the Brigham and Women's Hospital in Boston, Massachusetts, is under way to assess the impact of 2,000 IU vitamin D3 and/or omega-3 fatty acids (Omacor, Pronova, Norway; fish oil, 1 g) on heart disease, stroke, and cancer in 20,000 men and women in the U.S. Before enrollment has even been completed, this study potentially has the limitations that baseline vitamin D status is not being assessed in all patients (but nearly 80% or 16,000 will have baseline 25[OH]D assessments), the trial could attract healthier participants with higher levels of vitamin D at baseline compared to the general population (although a fairly representative U.S. population, including 25% African Americans, with ethnic/racial and geographic diversity is being recruited), and also at least some people with very severe deficiency may not be "normalized" by these doses (but on-treatment 25[OH]D levels will be tested in 6,000 participants and, as reviewed above, we currently do not know what true "normalization" represents which may be partly answered by this trial). Also, as would be the case in every vitamin D study in the past and future, it is not possible to have a placebo group with no vitamin D exposure, since even the nonsupplemented group can potentially obtain large amounts of vitamin D naturally from skin synthesis after UVB exposure (which should be similar in the control and vitamin D groups). Therefore, considering the large number in the population with suboptimal vitamin D levels and the overall strengths of this trial, this study should provide very important information for both CV disease and cancer prevention. Considerable evidence indicates that vitamin D deficiency is extremely prevalent and associated with CV disease risk factors (hypertension, T2DM/MetS, and inflammation) and is associated with increased CV disease events, CV, and all-cause mortality. Vitamin D deficiency can be prevented and corrected easily by sunlight and/or vitamin D supplementation. Although assessment of 25(OH)D levels is reasonable for many adults, especially those with CV disease or high CV risk, and treatment can easily be accomplished, definitive randomized controlled trials are needed to determine whether vitamin D therapy will live up to its hype. Lee JH, O'Keefe JH, Bell D, Hensrud DD, Holick MF. Vitamin D deficiency: an important, common, and easily treatable cardiovascular risk factor? J Am Coll Cardiol 2008;52:1949–56. Abuannai M, O'Keefe JH. 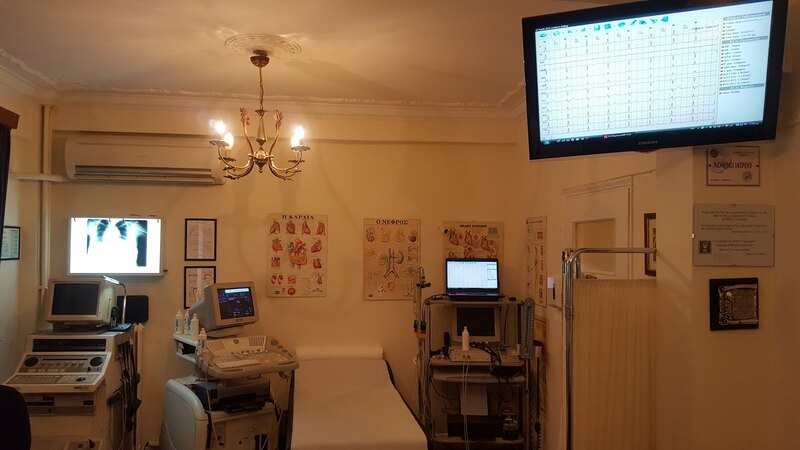 Vitamin D and cardiovascular health Primary Care Cardiovasc J 2011;4:59–62. Looker AC, Johnson CL, Lacher DA, Pfeiffer CM, Schleicher RL, Sempos CT. Vitamin D status: United States, 2001–2006 NCHS Data Brief 2011(59):1–8. Holick MF. Vitamin D deficiency N Engl J Med 2007;357:266–81. Bischoff-Ferrari HA, Giovannucci E, Willett WC, Dietrich T, Dawson-Hughes B. Estimation of optimal serum concentrations of 25-hydroxyvitamin D for multiple health outcomes Am J Clin Nutr 2006;84:18–8. Gandini S, Boniol M, Haukka J, et al. Meta-analysis of observational studies of serum 25-hydroxyvitamin D levels and colorectal, breast and prostate cancer and colorectal adenoma Int J Cancer 2011;128:1414–24. Helzlsouer KJ, VDPP Steering Committee Overview of the Cohort Consortium Vitamin D Pooling Project of Rarer Cancers Am J Epidemiol 2010;172:4–9. GMosekilde L. Vitamin D requirement and setting recommendation levels: long-term perspectives Nutr Rev 2008;66(Suppl 2):170–7. Holden JM, Lemar LE. Assessing vitamin D contents in foods and supplements: challenges and needs Am J Clin Nutr 2008;88(Suppl):551–3. Zittermann A. Vitamin D and disease prevention with special reference to cardiovascular disease Prog Biophys Mol Biol 2006;92:39–48. Looker AC, Dawson-Hughes B, Calvo MS, Gunter EW, Sahyoun NR. Serum 25-hydroxyvitamin D status of adolescents and adults in two seasonal subpopulations from NHANES III Bone 2002;30:771–7. Clemens TL, Adams JS, Henderson SL, Holick MF. Increased skin pigment reduces the capacity of skin to synthesise vitamin D3 Lancet 1982;1:74–6. Blum M, Dolnikowski G, Seyoum E, et al. Vitamin D(3) in fat tissue Endocrine 2008;33:90–4. Cheng S, Massaro JM, Fox CS, et al. Adiposity, cardiometabolic risk, and vitamin D status: the Framingham Heart Study Diabetes 2010;59:242–8. Rajakumar K, Fernstrom JD, Holick MF, Janosky JE, Greenspan SL. Vitamin D status and response to vitamin D(3) in obese vs. non-obese African American children Obesity (Silver Spring) 2008;16:90–5. Binkley N, Novotny R, Krueger D, et al. Low vitamin D status despite abundant sun exposure J Clin Endocrinol Metab 2007;92:2130–5. Fiscella K, Franks P. Vitamin D, race, and cardiovascular mortality: findings from a national US sample Ann Fam Med 2010;8:11–8. Wang TJ, Zhang F, Richards JB, et al. Common genetic determinants of vitamin D insufficiency: a genome-wide association study Lancet 2010;376:180–8. Pittas AG, Chung M, Trikalinos T, et al. Systemic review: vitamin D and cardiometabolic outcomes Ann Intern Med 2010;152:307–14. Li YC, Kong J, Wei M, Chen ZF, Liu SQ, Cao LP. 1,25-Dihydroxyvitamin D(3) is a negative endocrine regulator of the renin-angiotensin system J Clin Invest 2002;110:229–38. Milani RV, Lavie CJ, Mehra MR, Ventura HO, Kurtz JD, Messerli FH. Left ventricular geometry and survival in patients with normal left ventricular ejection fraction Am J Cardiol 2006;97:959–63. Artham SM, Lavie CJ, Milani RV, Patel DA, Verma A, Ventura HO. Clinical impact of left ventricular hypertrophy and implications for regression Prog Cardiovasc Dis 2009;52:153–67. Krause R, Buhring M, Hopfenmuller W, Holick MF, Sharma AM. 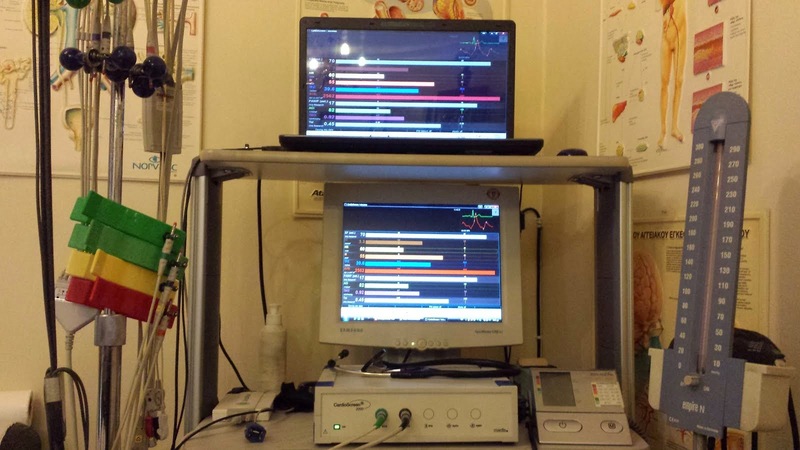 Ultraviolet B and blood pressure Lancet 1998;352:709–10. Sugden JA, Davies JI, Witham, MD, Morris AD, Struthers AD. Vitamin D improves endothelial function in patients with type 2 diabetes mellitus and low vitamin D levels Diabetes Med 2008;25:320–5. Borges AC, Feres T, Vianna LM, Paiva TB. Effect of cholecalciferol treatment on the relaxant responses of spontaneously hypertensive rat arteries to acetylcholine Hypertension 1999;34:897–901. Borges AC, Feres T, Vianna LM, Paiva TB. Recovery of impaired K+ channels in mesenteric arteries from spontaneously hypertensive rats by prolonged treatment with cholecalciferol Br J Pharmacol 1999;127:772–8. Scragg R, Sowers M, Bell C. Serum 25-hydroxyvitamin D, ethnicity, and blood pressure in the Third National Health and Nutrition Examination Survey Am J Hypertens 2007;20:713–9. Pittas AG, Lau J, Hu FB, Dawson-Hughes B. The role of vitamin D and calcium in type 2 diabetes. A systematic review and meta-analysis. J Clin Endocrinol Metab 2007;92:2017–29. Hyppönen E, Läärä E, Reunanen A, Järvelin MR, Virtanen SM. Intake of vitamin D and risk of type 1 diabetes: a birth-cohort study Lancet 2001;358:1500–3. 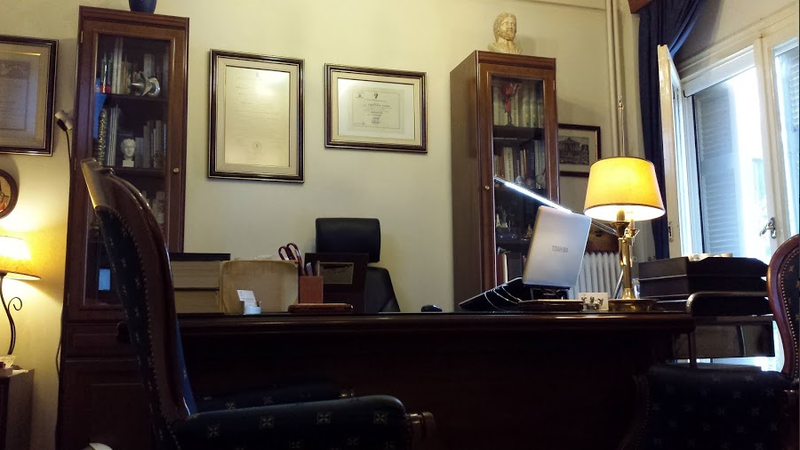 Zipitis CS, Akobeng AK. Vitamin D supplementation in early childhood and risk of type 1 diabetes: a systematic review and meta-analysis Arch Dis Child 2008;93:512–7. Pittas AG, Dawson-Hughes B, Li T, et al. Vitamin D and calcium intake in relation to type 2 diabetes in women Diabetes Care 2006;29:650–6. von Hurst PR, Stonehouse W, Coad J. Vitamin D supplementation reduces insulin resistance in South Asian women living in New Zealand who are insulin resistant and vitamin D deficient: a randomized, placebo-controlled trial Br J Nutr 2010;103:549–55. Ogard CG, Engelmann, MD, Kistorp C, Nielsen SL, Vestergaard H. Increased plasma N-terminal pro-B-type natriuretic peptide and markers of inflammation related to atherosclerosis in patients with primary hyperparathyroidism Clin Endocrinol (Oxford) 2005;63:493–8. Andersson P, Rydberg E, Willenheimer R. Primary hyperparathyroidism and heart disease—a review Eur Heart J 2004;25:1776–87. Soubassi LP, Chiras TC, Papadakis ED, et al. Incidence and risk factors of coronary heart disease in elderly patients on chronic hemodialysis Int Urol Nephrol 2006;38:795–800. Bjorkman MP, Sorva AJ, Tilvis RS. Elevated serum parathyroid hormone predicts impaired survival prognosis in a general aged population Eur J Endocrinol 2008;158:749–53. Libby P, Ridker PM, Hansson GKfor the Leducq Transatlantic Network on Atherothrombosis. Inflammation in atherosclerosis: from pathophysiology to practice J Am Coll Cardiol 2009;54:2129–38. Lavie CJ, Milani RV, Verma A, O'Keefe JH. C-reactive protein and cardiovascular disease: is it ready for primetime? Am J Med Sci 2009;338:486–92. Lavie CJ, Church TS, Milani RV, Earnest CP. Impact of physical activity, cardiorespiratory fitness, and exercise training on markers of inflammation J Cardiopulm Rehabil Prev 2011;31:137–45. Schleithoff SS, Zittermann A, Tenderich G, Berthold HK, Stehle P, Koerfer R. Vitamin D supplementation improves cytokine profiles in patients with congestive heart failure: a double-blind, randomized, placebo-controlled trial Am J Clin Nutr 2006;83:754–9. Milani RV, Lavie CJ, Cassidy MM. Effects of cardiac rehabilitation and exercise training programs on depression in patients after major coronary events Am Heart J 1996;132:726–32. Lavie CJ, Milani RV. Adverse psychological and coronary risk profiles in young patients with coronary artery disease and benefits of formal cardiac rehabilitation Arch Intern Med 2006;166;:1878–83. Milani RV, Lavie CJ. Impact of cardiac rehabilitation on depression and its associated mortality Am J Med 2007;120:799–806. Oudshoorn C, Mattace-Raso FU, van der Velde N, Colin EM, van der Cammen TJ. Higher serum vitamin D3 levels are associated with better cognitive test performance in patients with Alzheimer's disease Dement Geriatr Cogn Disord 2008;25:539–43. Kalueff A, Minasyan A, Keisala T, Kuuslahti M, Miettinen S, Tuohimaa P. The vitamin D neuroendocrine system as a target for novel neurotropic drugs CNS Neurol Disord Drug Targets 2006;5:363–71. Ganji V, Milone C, Cody MM, McCarty F, Wang YT. Serum vitamin D concentrations are related to depression in young adult US population: the Third National Health and Nutrition Examination Survey Int Arch Med 2010;3:29–36. May HT, Bair TL, Lappé DL. Association of vitamin D levels with incident depression among a general cardiovascular population Am Heart J 2010;159:1037–43. Jorde R, Sneve M, Figenschau Y, Svartberg J, Waterloo K. Effects of vitamin D supplementation on symptoms of depression in overweight and obese subjects: randomized double blind trial J Intern Med 2008;264:599–609. Hoogendijk W, Lips P, Dik M, Deeg D, Beekman A, Penninx B. Depression is associated with decreased 25-hydroxyvitamin D and increased parathyroid hormone levels in older adults Arch Gen Psychiatry 2008;65:508–12. Schneider B, Weber B, Frensch A, Stein J, Fritze J. Vitamin D in schizophrenia, major depression and alcoholism J Neural Transm 2000;107:839–42. Martiny K, Lunde M, Unden M, Dam H, Bech P. Adjunctive bright light in non-seasonal major depression: results from clinician-rated depression scales Acta Psychiatr Scand 2005;112:117–25. Wang TJ, Pencina MJ, Booth SL, et al. 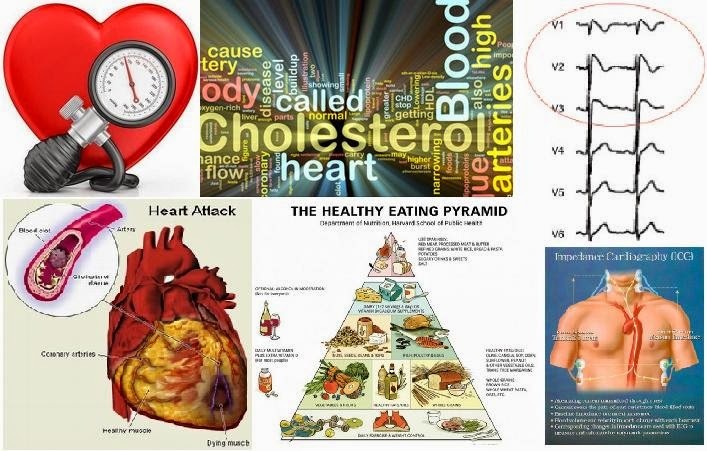 Vitamin D deficiency and risk of cardiovascular disease Circulation 2008;117:503–11. Melamed ML, Michos ED, Post W, Astor B. 25-hydroxyvitamin D levels and the risk of mortality in the general population Arch Intern Med 2008;168:1629–37. Dobnig H, Pilz S, Scharnagel H, et al. 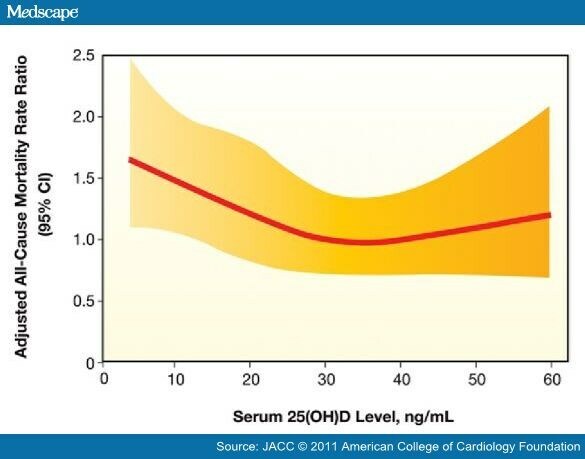 Independent association of low serum 25-hydroxyvitamin D and 1,25-dihydroxyvitamin D levels with all-cause and cardiovascular mortality Arch Intern Med 2008;168:1340–9. Anderson JL, May HT, Horne BD, et al. Intermountain Heart Collaborative (IHC) Study Group Relation of vitamin D deficiency to cardiovascular risk factors, disease status, and incident events in a general healthcare population Am J Cardiol 2010;106:963–8. Giovannucci E, Liu Y, Hollis BW, Rimm EB. 25-hydroxyvitamin D and risk of myocardial infarction in men Arch Intern Med 2008;168:1174–80. Lee JH, Gadi R, Spertus JA, Tang F, O'Keefe JH. Prevalence of vitamin D deficiency in patients with acute myocardial infarction Am J Cardiol 2011;107:1636–8. Autier P, Gandini S. Vitamin D supplementation and total mortality: a meta-analysis of randomized controlled trials Arch Intern Med 2007;167:1730–7. Wang L, Manson JE, Song Y, Sesso H. Systematic review: vitamin D and calcium supplementation in prevention of cardiovascular events Ann Intern Med 2010;152:315–23. Teng M, Wolf M, Ofsthun MN, et al. Activated injectable vitamin D and hemodialysis survival: a historical cohort study J Am Soc Nephrol 2005;16:1115–25. Wolf M, Shah A, Gutierrez O, et al. Vitamin D levels and early mortality among incident hemodialysis patients Kidney Int 2007;72:1004–13. Kovesdy CP, Ahmadzadeh S, Anderson JE, Kalantar-Zadeh K. Association of activated vitamin D treatment and mortality in chronic kidney disease Arch Intern Med 2008;168:397–403. 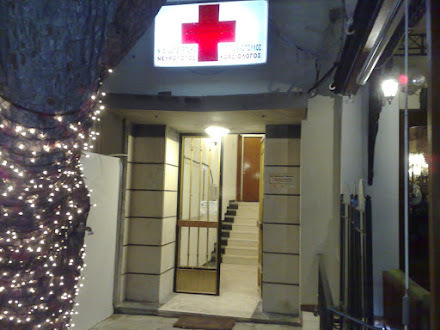 Lee GH, Benner D, Regidor DL, Kalantar-Zadeh K. Impact of kidney bone disease and its management on survival of patients on dialysis J Ren Nutr 2007;17:38–44. Dietary Supplement Fact Sheet: Vitamin D. Office of Dietary Supplements, NIH Clinical Center, National Institutes of Health (2007) http://dietary-supplements.info.nih.gov/factsheets/vitamind.asp 2007 Accessed July 30, 2008. Dietary Reference Intakes for Calcium and Vitamin D. Report of the Institute of Medicine of the National Academies, November 30, 2010. Moore C, Murphy MM, Keast DR, Holick MF. Vitamin D intake in the United States J Am Diet Assoc 2004;104:980–3. Bischoff-Ferrari HA, Giovannucci E, Willett WC, Dietrich T, Dawson-Hughes B. Estimation of optimal serum concentrations of 25-hydroxyvitamin D for multiple health outcomes Am J Clin Nutr 2006;84:18–28. Hathcock JN, Shao A, Vieth R, Heaney R. Risk assessment for vitamin D Am J Clin Nutr 2007;85:6–18. 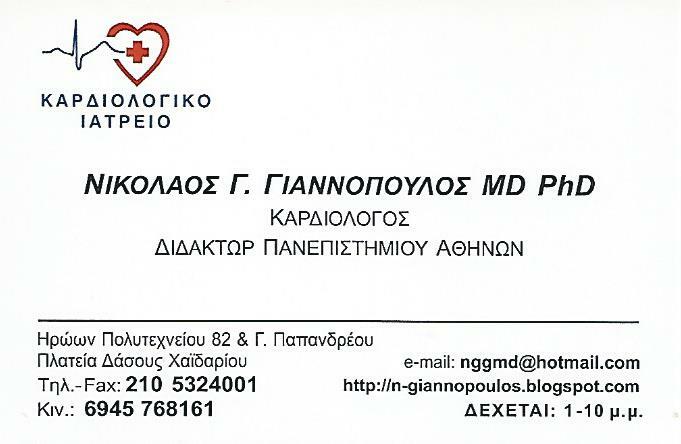 Daudon M, Jungers P. Drug-induced renal calculi: epidemiology, prevention and management Drugs 2004;64:245–75. Chen TC, Chimeh F, Lu Z, et al. Factors that influence the cutaneous synthesis and dietary sources of vitamin D Arch Biochem Biophys 2007;460:213–17. Vieth R. Vitamin D supplementation, 25-hydroxyvitamin D concentrations, and safety Am J Clin Nutr 1999;69:842–56. Heaney RP, Davies KM, Chen TC, Holick MF, Barger-Lux MJ. Human serum 25-hydroxycholecalciferol response to extended oral dosing with cholecalciferol Am J Clin Nutr 2003;77:204–10. Holick MF, Biancuzzo RM, Chen TC, et al. Vitamin D2 is as effective as vitamin D3 in maintaining circulating concentrations of 25-hydroxyvitamin D J Clin Endocrinol Metab 2008;93:677–81. Armas LA, Hollis BW, Heaney RP. Vitamin D2 is much less effective than vitamin D3 in humans J Clin Endocrinol Metab 2004;89:5387–91. Lavie CJ, Milani RV, Mehra MR, Ventura HO. Omega-3 polyunsaturated fatty acids and cardiovascular diseases J Am Coll Cardiol 2009;54:585–94. Lee JH, O'Keefe JH, Lavie CJ, Marchioli R, Harris WS. Omega-3 fatty acids for cardioprotection Mayo Clin Proc 2008;83:324–32. Shapses SA, Manson JE. 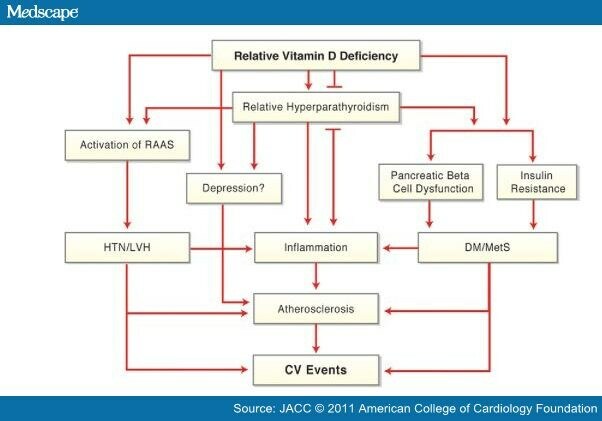 Vitamin D and prevention of cardiovascular disease and diabetes: why the evidence falls short JAMA 2011;305:2565–6. Elamin MB, Nisrin O, Abu E, et al. Vitamin D and cardiovascular outcomes: a systematic review and meta-analysis J Clin Endocrinol Metab 2011;96:1931–42. J Am Coll Cardiol. 2011;58(15):1547-1556. © 2011 Elsevier Science, Inc.